Seattle Cider Company (along with their sister company, Two Beers Brewing Company (CBM Sponsor)) has been hard at work preparing for the grand opening of their new and much larger taproom next Saturday, June 13th (more info to come). At the same time, they’ve also been busy preparing their new Summer Seasonal, Berry Cider. Formerly known as Pacific Northwest Berry (don’t worry, nothing has changed but the name), a delicious blend of Pacific Northwest blueberries, blackberries and raspberries, pulling in all the flavors of the season without being too sweet. Berry takes over for Seattle Cider Company’s former Spring seasonal, Basil Mint, joining the cidery’s three year round and two limited edition ciders on shelves across the country. Coming in at 6.9 ABV and just 1.8 Brix, this deep, rose colored cider is available in 22-ounce bottles and on draft. 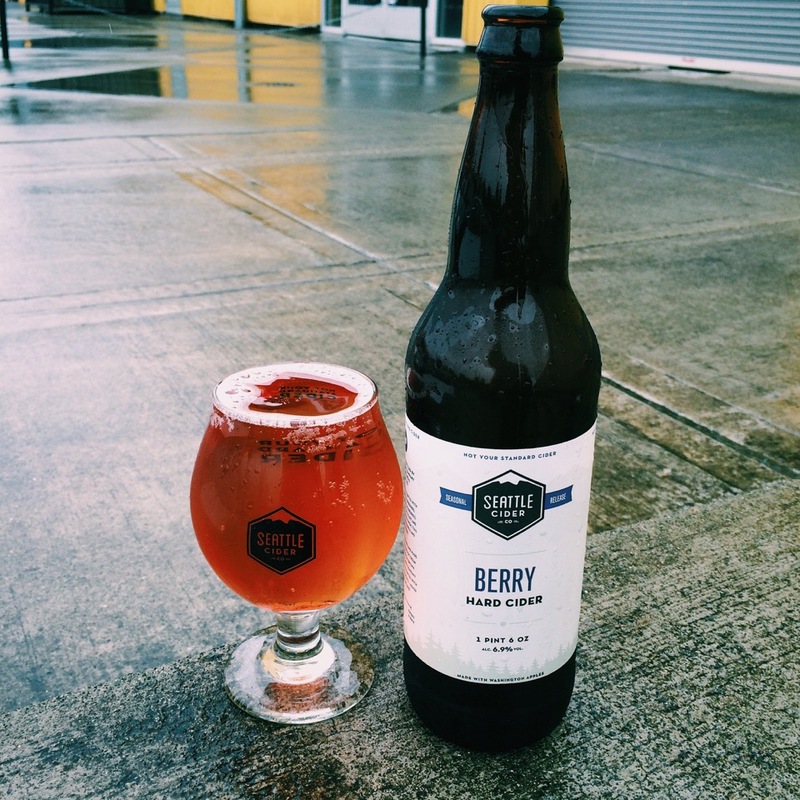 SEATTLE (June 1, 2015) – Seattle Cider Company celebrates the return of summer with the arrival of its popular seasonal, Berry, in 22-ounce bottles and on draft. This unique and refreshing cider was created using a delicious blend of Pacific Northwest blueberries, blackberries and raspberries, pulling in all the flavors of the season without the sweetness. Berry takes over for spring seasonal Basil Mint, joining the cidery’s three year round and two limited edition ciders on shelves across the country. A semi-dry cider, Seattle Cider’s Berry is crafted with pressed raspberries, blueberries, and blackberries, with the juice added straight into the tank during fermentation. Softly tart with a flavor of young raspberries at the start and subtly sweet on the finish, this cider is both refreshing and full-flavored. Offering a 6.9 ABV and just 1.8 Brix, this deep rose-color cider is available in 22-ounce bottles and on draft. 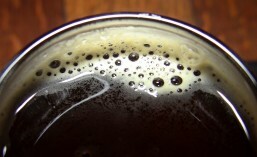 Find Seattle Cider products in stores and on tap throughout Washington, Oregon, Minnesota, Wisconsin, Illinois, Alaska, California, Idaho and Austin, Texas, with growing list of locations available at seattlecidercompany.com. Tastings, pints and packaged products are also available at The Woods tasting room in SoDo, which shares the space with Two Beers Brewing Co. For more information, follow Seattle Cider Company on Facebook, Twitter (@seattleciderco) and Instagram (seattleciderco). Not your standard cider. Seattle Cider Company is the city’s first cidery since prohibition, bringing true craft cider back to Seattle and across the country. Bridging the gap between wine and beer with flavorful, small-batch cider, Seattle Cider’s break the mold of overly sweet cider, bringing the natural flavors of Washington apples to the forefront. Naturally gluten free and made from a custom blend of fresh-pressed, locally-grown apples, Seattle Cider’s products are handcrafted with real ingredients and never from concentrate. Find Seattle Cider products in stores and on tap throughout Washington, Oregon, Minnesota, Wisconsin, Illinois, Alaska, California, Idaho and Austin, Texas. Seattle Cider is also available on tap at The Woods tasting room, located at 4700 Ohio Ave. S. in SoDo, open weekly Tuesday – Saturday. For more information, visit seattlecidercompany.com, or follow Seattle Cider Company on Facebook, Twitter (@seattleciderco) and Instagram (@seattleciderco). For those of you enjoying Seattle Cider Company ciders outside of Washington, this release means something special for you. As noted above, Berry didn’t make it out of Washington state last year. This year, however, it will be arriving in all markets including: Washington, Oregon, Minnesota, Wisconsin, Illinois, Alaska, California, Idaho and Austin, Texas. Look for it on store shelves or on tap near you soon. This entry was posted in Bottle Shops, Cider, Cider Release, Expansion, Seasonals, Seattle, SoDo, Spring, Summer, Washington, Washington Cider and tagged 2015, cider, Cider Release, seasonal, seattle, Seattle Cider Company, SoDo. Bookmark the permalink.